A good, effective natural deodorant is like a unicorn. No one has ever seen it, but many of us believe it exists, right? 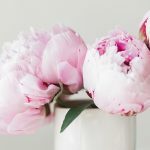 OK, jokes aside, I know that the deodorant struggle is real because even after so many years of blogging about green beauty, one of the most common questions I still receive is which natural deodorant is the best. It’s hard to believe that with so many options available today, many are still in search for that perfect one. 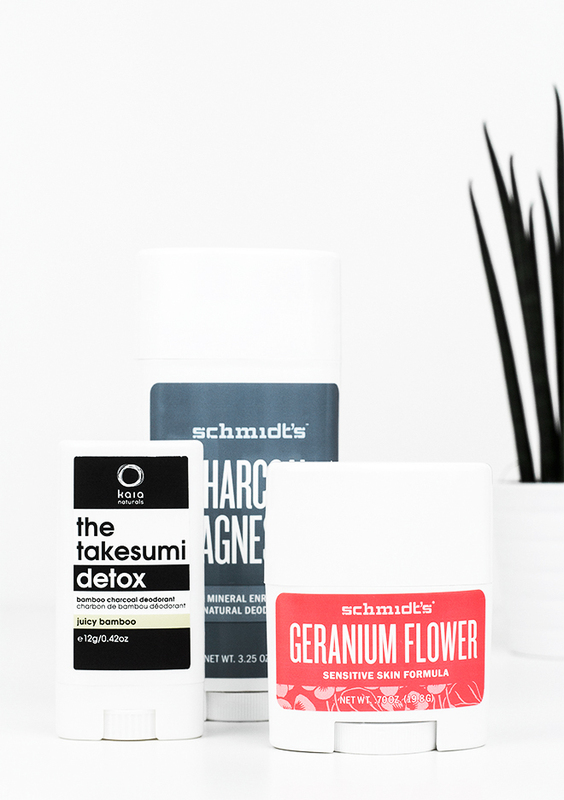 Different things work for different people, but here are three deodorants that I’m using at the moment: Schmidt’s Charcoal + Magnesium Deodorant, which I use on a daily basis; Schmidt’s Geranium Flower Deodorant for sensitive skin; Kaia Naturals The Takesumi Detox Deodorant in scent Juicy Bamboo. The last two are travel size deodorants because I like to have smaller size options to keep in my purse for when I’m out and about or when traveling. I was searching for a new full-size deodorant when I spotted this new release from Schmidt’s. I’ve used deodorants from this brand in the past(here; here), so I thought it would be interesting to try this newbie as well. The main ingredients in this deodorant are arrowroot powder and baking soda as well as activated charcoal and magnesium hydroxide. All these components together absorb wetness in your pits and neutralize undesired odors naturally. The deodorant has a mild neutral scent, which is also long-lasting. Even after a long day, I still can detect this gentle refreshing scent. One disadvantage I experience with this product is that the deodorant has some kind of grainy texture. It does not bother me, but I fear that in the long run, it could start irritating my pits. Maranta Arundinacea (Arrowroot) Powder, Cocos Nucifera (Coconut) Oil, Butyrospermum Parkii (Shea Butter), Sodium Bicarbonate (Baking Soda), Caprylic/Capric Triglyceride (Fractionated Coconut Oil), Euphorbia Cerifera (Candelilla) Wax, Simmondsia Chinensis (Jojoba) Seed Oil, Magnesium Hydroxide, Carbo Activatus (Activated Charcoal), Natural Fragrance, Tocopherol (Vitamin E). Vegan. 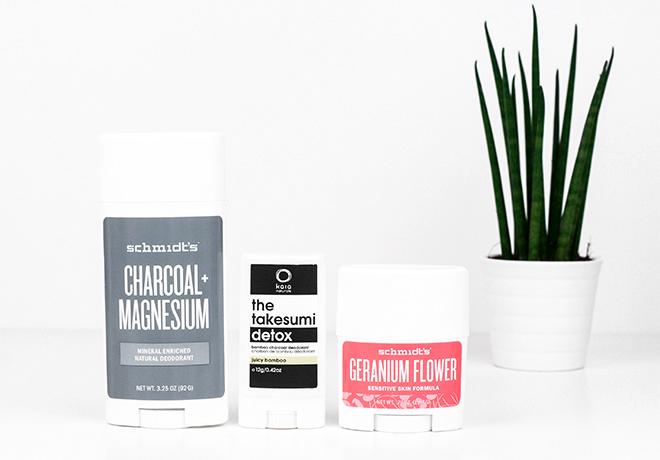 I’ve been using this vegan Charcoal + Magnesium Deodorant on a daily basis for the past two weeks, and I’m really glad I chose it. At least for me, it’s one of the most effective natural deodorants that I’ve used. Ever. And believe me, I’ve tried quite a few. I’ll let you know if my feelings have changed after I finish the whole product. 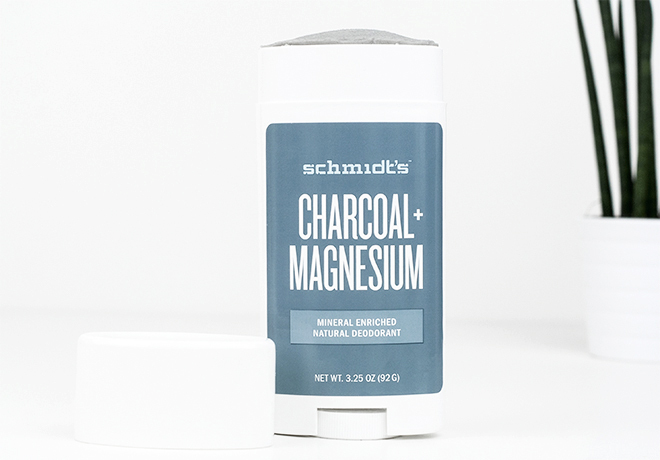 Schmidt’s also has a range of deodorants formulated for sensitive skin that does do not contain baking soda. Baking soda is effective in neutralizing bad odors. However, some people find it irritating for their armpits. The sensitive range was recently expanded with four new deodorants and now contains seven products in total. 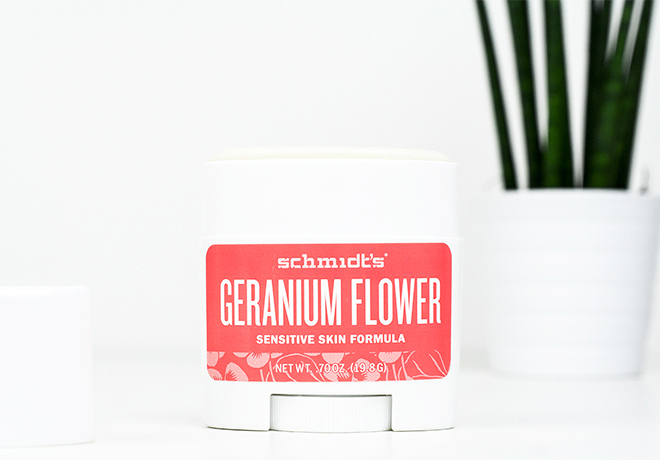 The texture of the Geranium Flower Deodorant is totally different from the ones containing baking soda. It’s much smoother and creamier, so is less likely to irritate sensitive skin. I’m usually not a big fan of the geranium scent, but weirdly I like this one: strong but pleasant floral aroma. The deodorant contains arrowroot powder and magnesium as ingredients that are supposed to fight unpleasant odor and keep the pits dry. As expected, this deodorant is a tad less effective than the Charcoal + Magnesium deodorant in terms of holding wetness during the day. But it does not let the bad odor occur. My pits smelled lovely even after the entire day. So if you’re someone with sensitive armpits that don’t like baking soda in your deodorants, the sensitive range is worth a shot. Magnesium Hydroxide, Cocos Nucifera (Coconut) Oil, Maranta Arundinacea (Arrowroot) Powder, Butyrospermum Parkii (Shea Butter), Caprylic/Capric Triglyceride (Fractionated Coconut Oil), Simmondsia Chinensis (Jojoba) Seed Oil, Euphorbia Cerifera (Candelilla) Wax, Pelargonium Graveolens (Geranium) Essential Oil, Tocopherol (Vitamin E). Vegan. The last deodorant that I have, which is also a travel-size, is from Kaia Naturals. 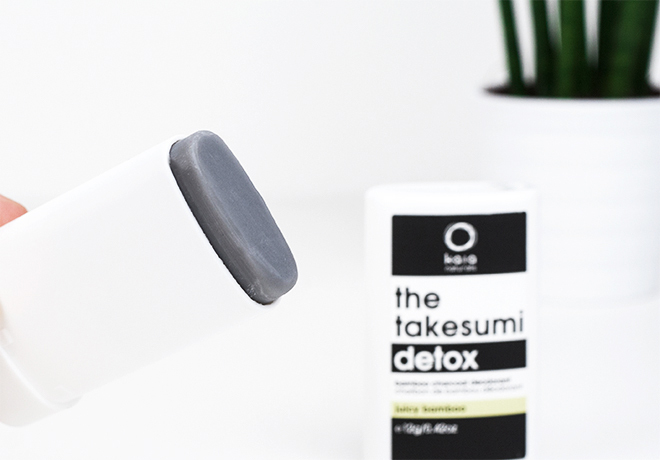 The Takesumi Detox range contains three products with different scents. 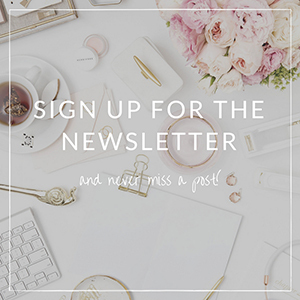 I have already shared my opinions about Cold-Pressed Rose Deodorant in January. These vegan deodorants contain similar ingredients as the ones from the Schmidt’s sensitive range. Which means they do not include baking soda, and, therefore, are more suitable for delicate, easily irritated pits. Aqua, Propanediol, Maranta Arundinacea ( Arrowroot) Powder, Glycerin, Sodium Stearate, Euphorbia Cerifera (Candelilla) Wax, Saccharomyces Ferment, Citrus Aurantifolia, Citrus Sinensis, Aloe Barbadensis Leaf Juice, Benzyl Alcohol, Salicylic Acid, Sorbic Acid, Magnesium Hydroxide, Allantoin, Carbo Activatus (Activated Charcoal). Vegan. The travel-size version of this deodorant comes in a thin stick container, which is convenient to take everywhere. 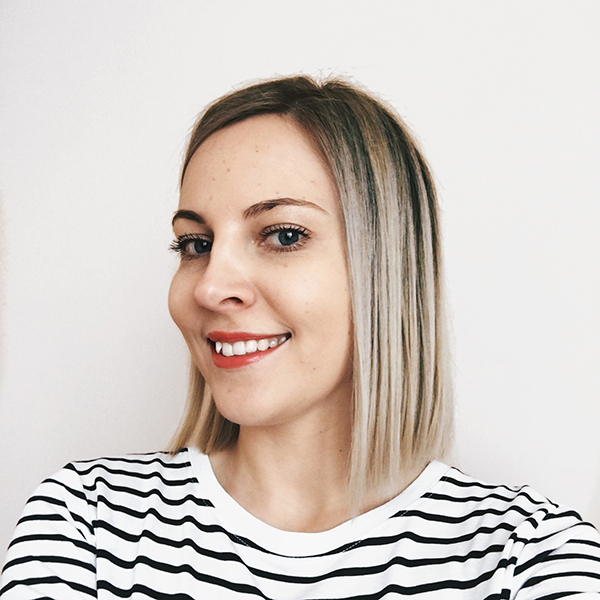 The texture is smooth and creamy, so you need to wait a few seconds after application to let it completely air dry. The scent Juicy Bamboo is a vivid citrus scent. I adore citrus scents in my bodycare products, so this one is also nice to use. The scent evaporates a bit after application, which is great if you don’t like overpowering scents. I think this deodorant is the most suitable for sensitive skin, but it’s also the one that I need to reapply most often. What’s your favorite natural deodorant? Have you tried any of these three? I’m a big fan of arrowroot powder in deodorants, but the addition of the magnesium has definitely caught my interest. I’m adding this one to my “must try” list! I read that magnesium is effective in preventing bad odor, so probably that’s why numerous of natural deodorants contain this mineral.